At Vic Books the Indelible Poets on Compostable Cups event was held. 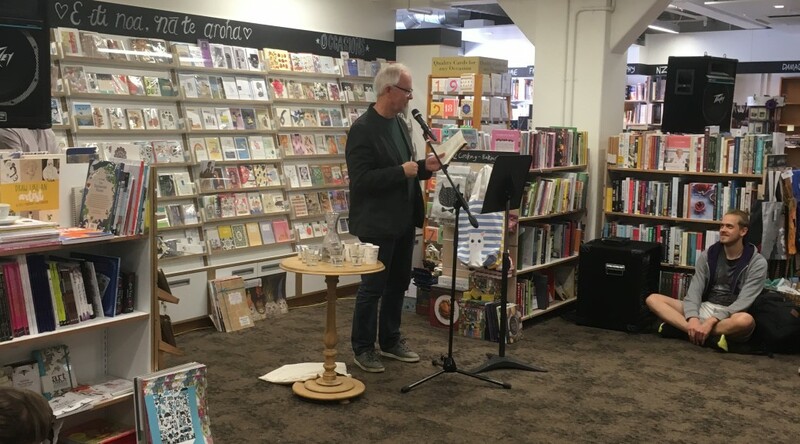 Our development team went along to experience Bill Manhire’s readings of is past and current works, from his book that is out soon. 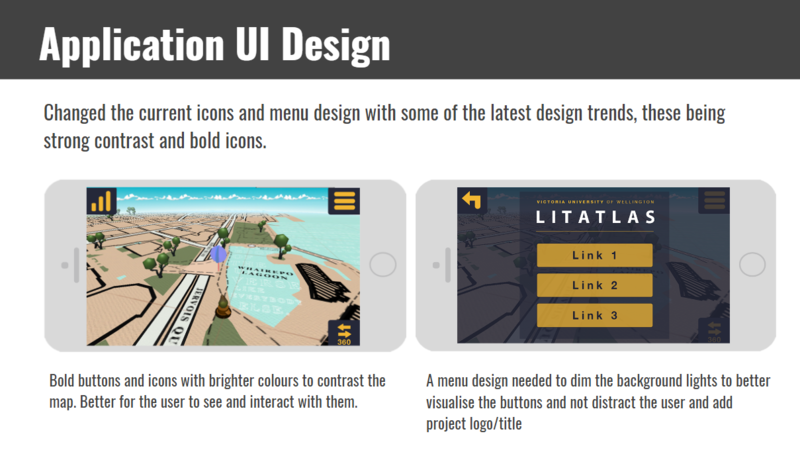 Seb took it upon himself to redesign the UI Icons to a bolder and more user friendly design. -Generates poem as they walk? the closer they get the more the found poem builds up. -User Testing who can we test with? We should look into this. We should aim to populate the world with new virtual objects that are not possible in the physical world to create a new experience. This experience should be intractable. Also should play with typography. -Concrete Poetry, forming words into visual shapes. We need to remember that difficult to understand technology is not always easy to understand and we shouldn’t treat people like they don’t know anything to make it easier. This is a flow chart of our menu screen and how it will link up. 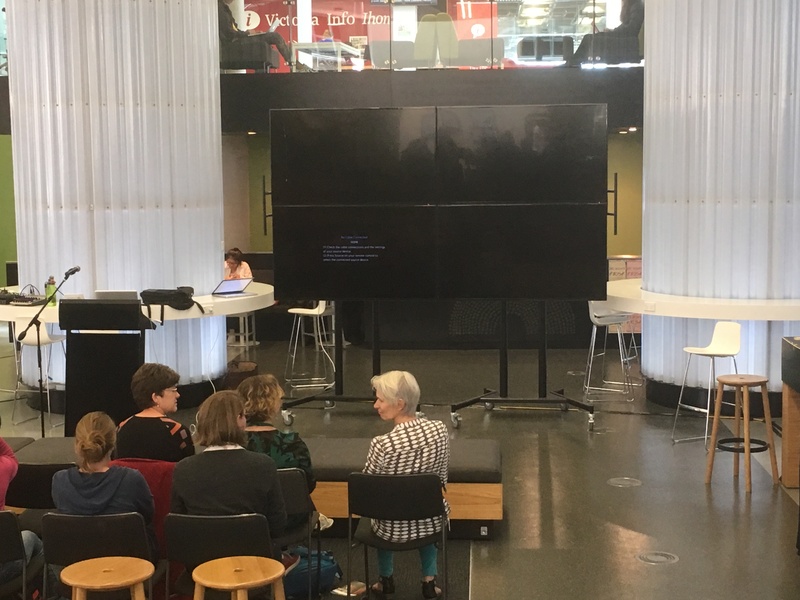 The user generated poems will be a library based on poems created near the Writer Location on the Waterfront and will be sorted to that corresponding writers field in this library. This will be a field in which a user can writer their own poem. 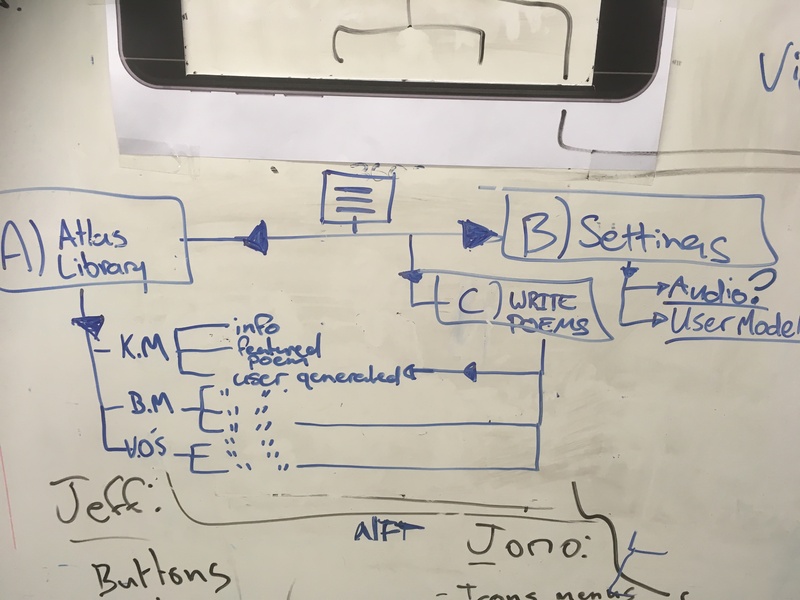 At present this is just a blank sheet in which they can type anything they want but eventually we could present frameworks based on poem structures. 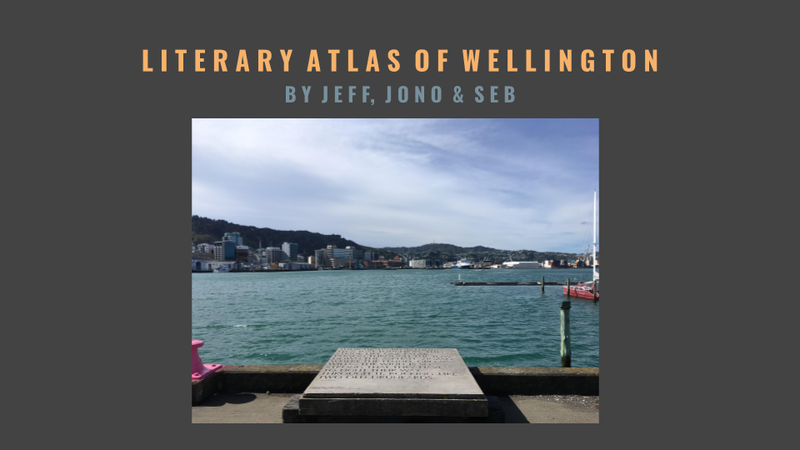 These poems will be sorted based on their location data. 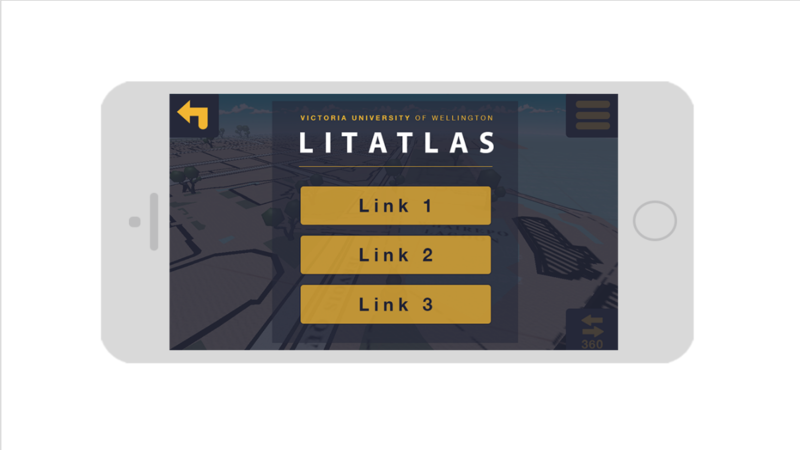 Users can pick which writers they want to get directions to on a tab on the main map screen, all writers will be able o be selected at all times. We believe this will allow for easy navigation bot far away and in close proximity to the writer locations. 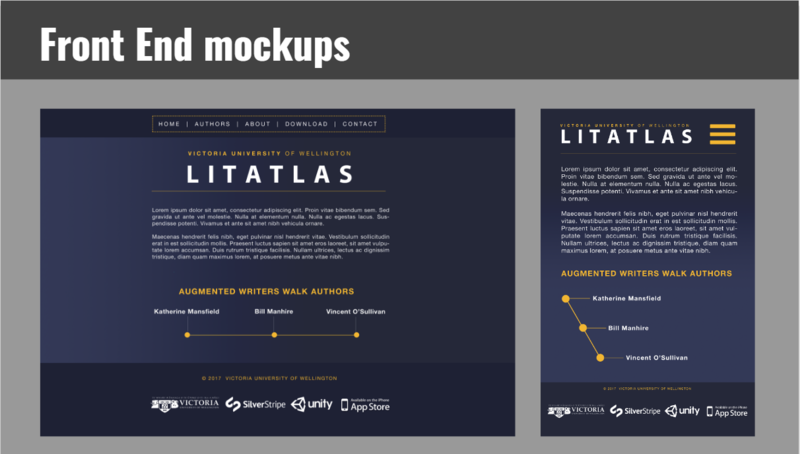 This solution is also scalable so we can add more writers easily to it (right now we just have 3). This AR content would be generated 360 degrees around the user. 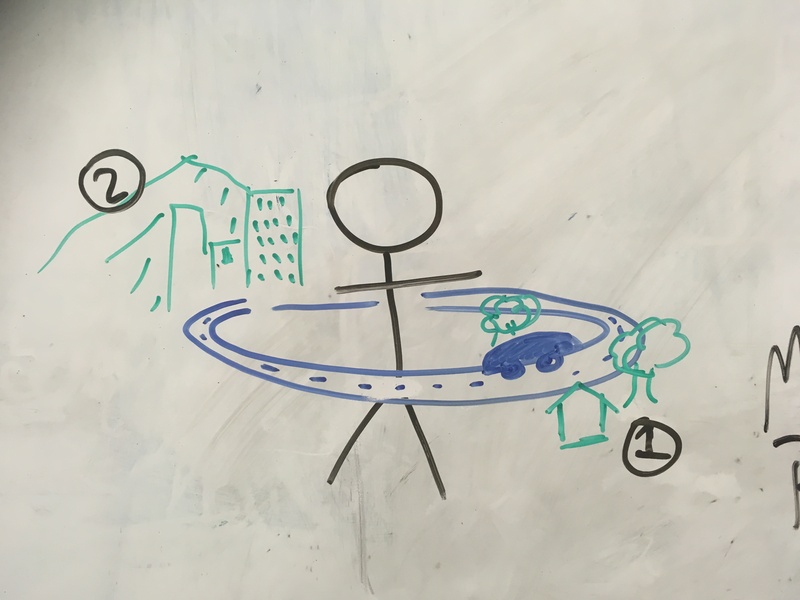 A road would circle around the user in the center and a car would be driving around that road. Like a popup book 3D assets such as trees and houses would appear next to this car (1). 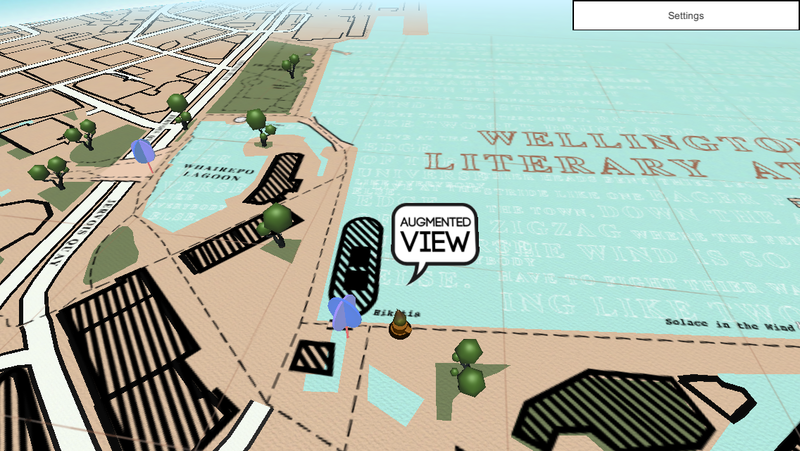 Then as the car moved into the city more dense 3D assets and buildings would appear(2). 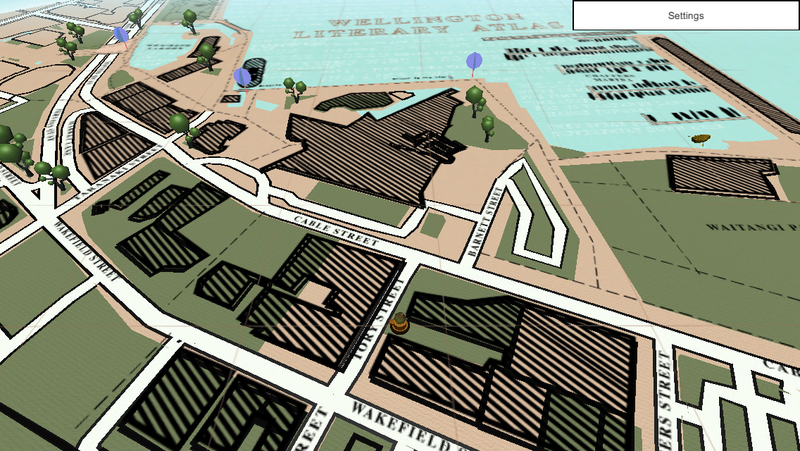 This is to simulate the car driving into Wellington. Hills and landmarks such as the Beehive could be created to symbolise this. Icons– Icons should be added to the map that are designed to suit the target audience of teenagers to young adults. This could include coffee shops skate parks and other activities / locations that would appeal to this audience. Signal Icon-Could we define this better? We are using a recognised icon (in terms of cellphone reception) but we will need to test if this translates to the user in the future? 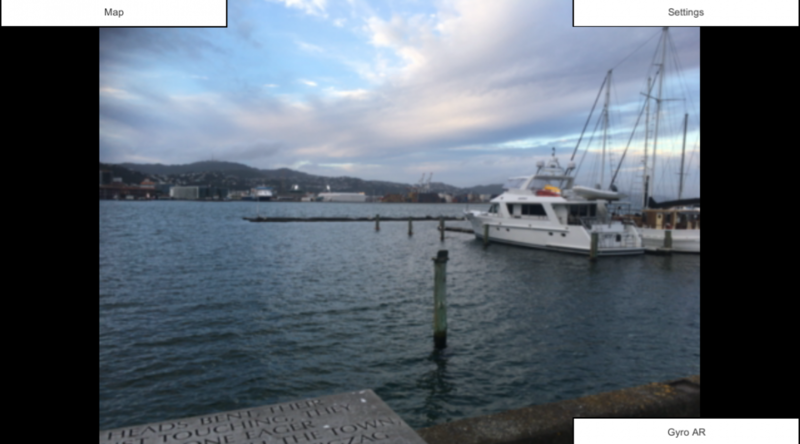 Wayfinding – If users are not at the waterfront they will need directions. We discussed the options of an arrow or a guiding lines that snaked through the streets. How accurate do we need it to be?Side note-Do we fill the users time with audio recordings as a playlist? Could we do this if they are far away to fill ther journey time? Information of each writer fields? -Visual representations of the poem? 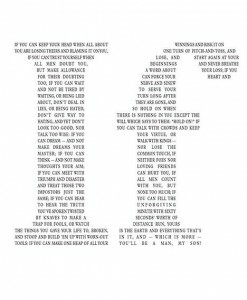 -Transforming Typography, The words of the poem animate around the user? -Creating a library of poems based off one poem, like a book that the user can page through based off the sculpture/ in the same style as the sculpture? Today I visited the sites of each AR interaction to bug test aspect of the map design to see what improvements and fixes needed to be made. Each paragraph will refer to the image above it. The solace in the wind title is pixelated. Also the Icon could be changed? 3D, or increased in size. Small 3D trees were added to this build, Jeff and I like how they add depth to the map so we will redesign then to suit the aesthetic and revisit them later. The text in the sea/water looks great and complements the loos of the map. Also the fade effect that Jeff has added is a nice touch (on the horizon). Below are the final colours for the UI Icons. The final design will be mediated but we will use these for now and they suit the aesthetic of the map but are still bold onscreen. 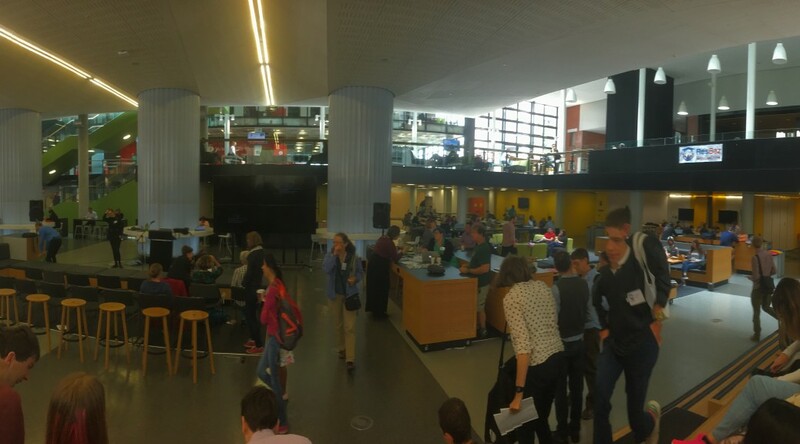 Jeff and I spoke at Res Baz 2017, in Victoria University’s Kelburn, Hub, about this project thus far. Our presentation and transcript can be found below. I’m Jeff and I’m Jono we are both post graduate students from the Victoria University school of design. 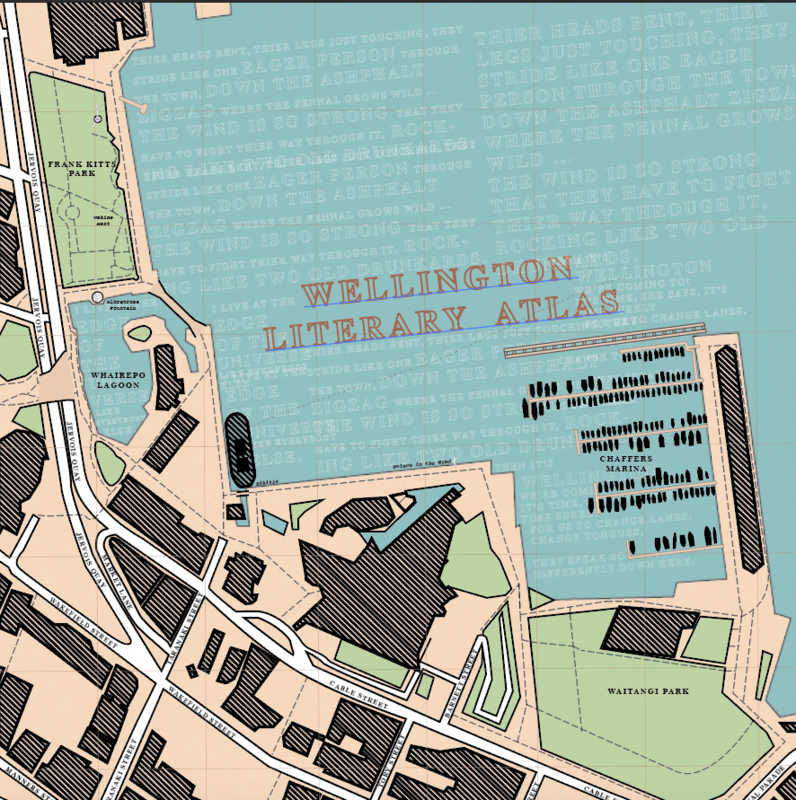 We are in the process of creating a mobile application for the Wai-Te-Ata Press that we like to call a Literary Atlas of Wellington. 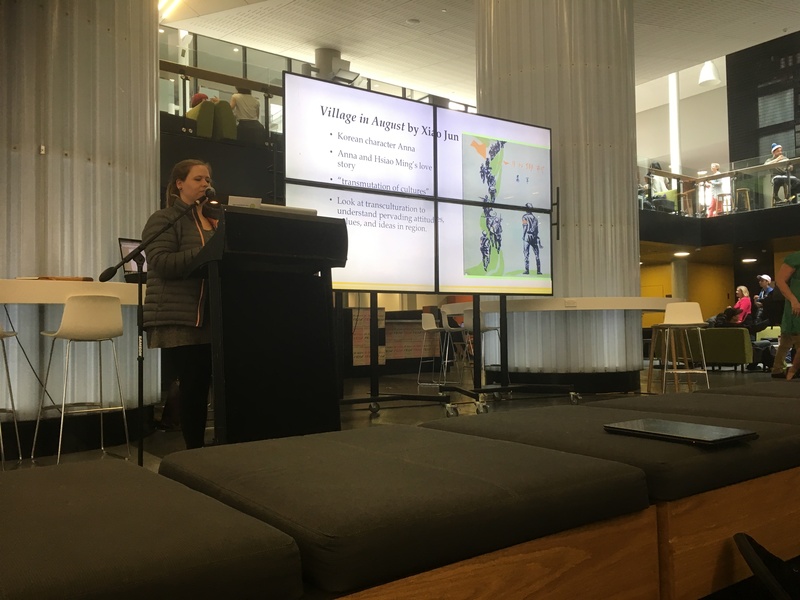 Our brief was to create an application that augments the Victoria University Library Collections into physical space making their content interactive for public consumption. So far through our development process we have completed an Augmented reality mobile platform which will host these interactions. We chose to use augmented reality technology as it is a powerful new way of communicating ideas effectively. Think technology like the holograms from Star Wars. 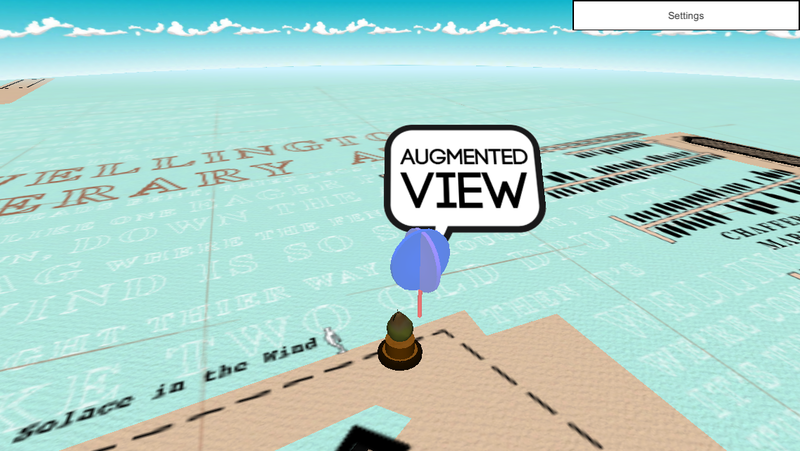 – Aligns real and virtual objects with each other. 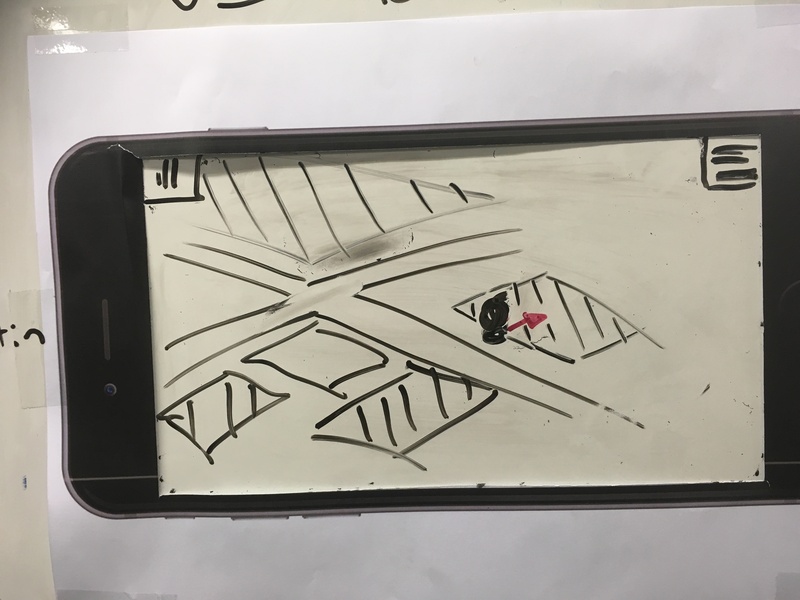 In our application we are using Video AR in which we use a video feed of the real world on a mobile device upon which virtual images are overlaid. This is the same concept which Pokemon Go uses. How are we making it? 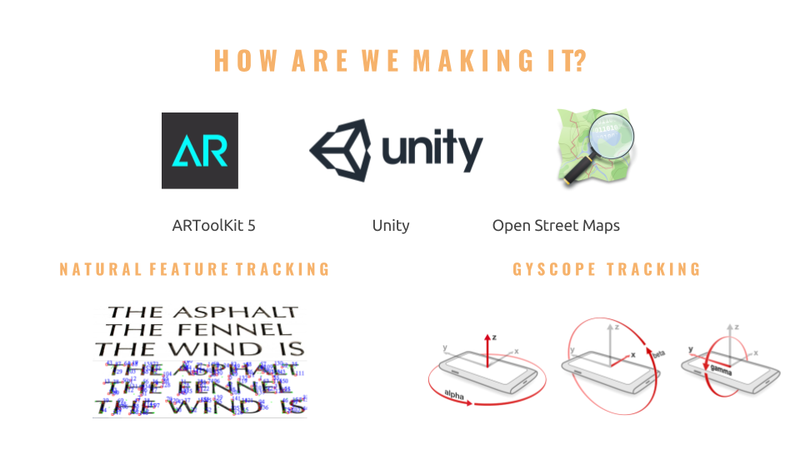 AR toolkit 5 is an open source project that can run in Unity’s development environment. 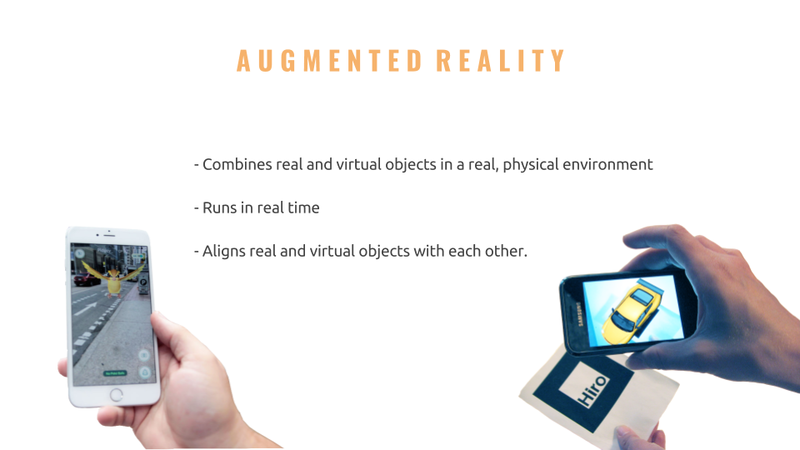 It gives developers a multitude of functionality for developing AR applications right out of the box and because it is open source allows you to examine the code and add customize your own features as well. 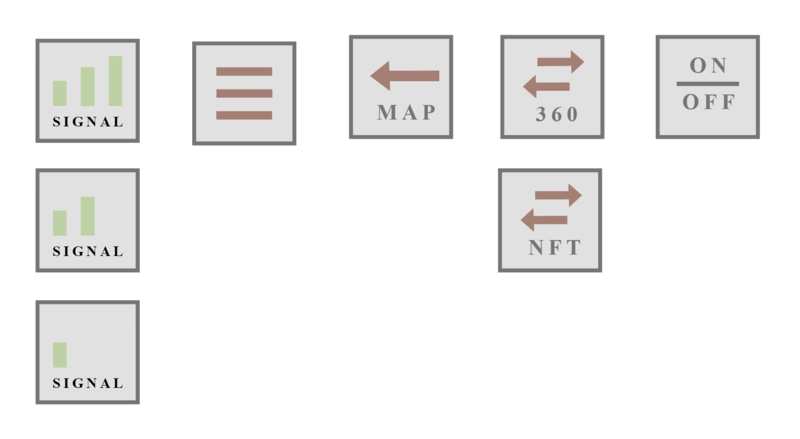 And Open Street Maps for pulling in real world geometry data and constructing a mesh that the user can then navigate around based on their geolocation. We have also implemented functionality that allows us to position things on that map based on its geolocation in the real world. One aspect of AR toolkits 5 functionality, as jono has already touched on are NFT’s, the ability to turn images of real world things into Natural Feature Points and then recognize these points in real time through the mobile devices video feed. 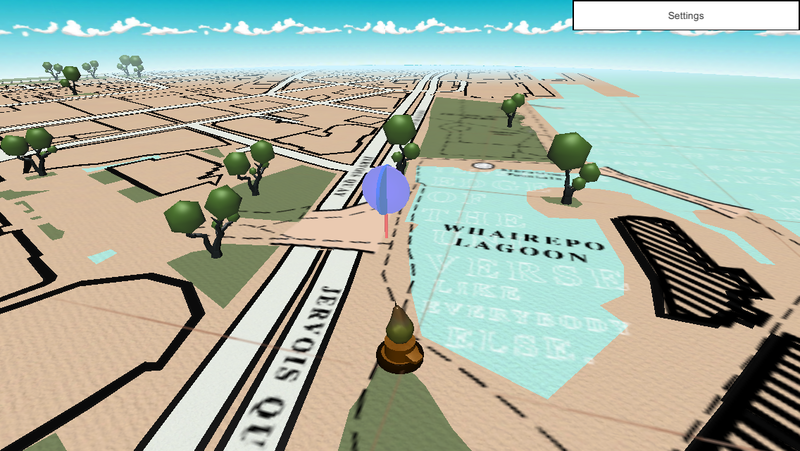 We can then display virtual scenes that appear to be tracked to physical objects. It’s important to consider app development in terms of an evolutionary process. Its full of trial and errors. This is why testing frequently becomes an essential part of development – Testing whether it still compiles and runs on your mobile device, testing whether the UI is best suited for a mobile screen size, testing the how interactions work. It usually highlights problems or errors and if you test frequently you are able to isolate these issues rather than having to sift through a multitude of changes to find the cause. It allows your development team to find mistakes, understand them and then implement improved changes that are informed by them. You should also consider and use other apps that relate to yours. Analyze them and carefully critique them. 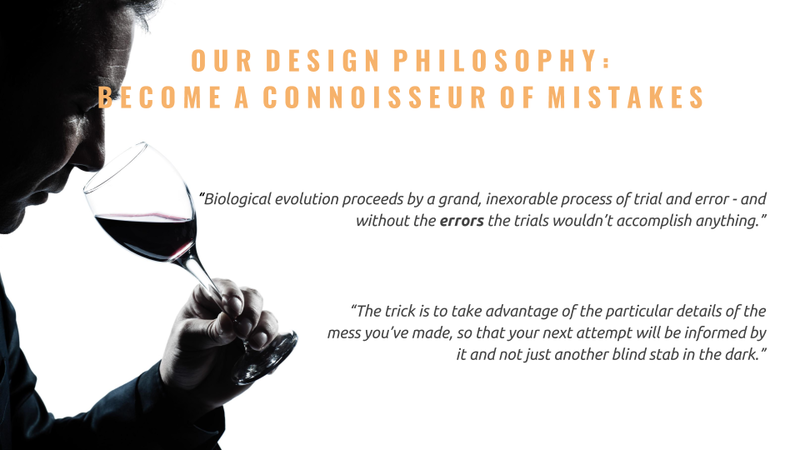 Ask yourself what makes them good and what makes them bad and how you can apply these insights to your app. We are about to develop augmented reality experiences into the application based on our Writer’s poems.These will be virtual representations of the poems and will be constructed to embody the main themes and ideas of each poem. We have also begun the process of incorporating a function which allows users to write their own poems and add them to a database for other uses to enjoy. 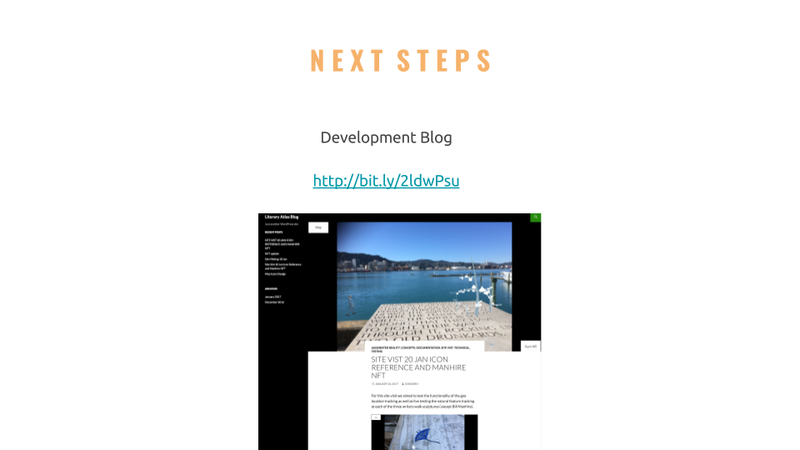 If you would like to follow our development process or see in more detail what we have accomplished thus far please visit our development blog by following the link on the slides.